The author introduces us to political economic analysis that explains why firms behave as they do, why we have such a high level of economic monopoly and who benefits from the economic structure of capitalism. 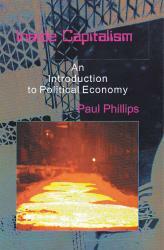 In so doing, Phillips shows us that traditional economic analysis is mainly ideology. Paul Phillips has recently retired from the Department of Economics, University of Manitoba.